Do you know how to draw pencil sketch? Looking for some of the excellent pencil sketch apps for Android or iOS smartphone? Well if the answer is yes then I’m here to help you out! As you already know that there are quite a lot of apps that let you convert your smartphone or camera clicked images into a sketch. But have you ever thought what are the best apps to get done with the job? Well if you have a question how to pencil sketch my photo in your head then read on! Just to help you out I have handpicked some of the best pencil sketch apps for your Android/iOS smartphone. So let’s just head into the topic without wasting much of the time! The following pencil sketch converter apps are worth trying as they could help you get the photo to pencil drawing! At first, we have the Pencil Sketch Photo Editor application. The application is freely available in the Google Play store. The good thing about this app is that it comes with only sketch filters. That simply means you will get quite a lot of sketch filters, instead of different image filters such as hue, lark, Juno and so on. Talking about the features of the application, The Pencil Sketch Photo Editor application comes with Contrast and Brightness adjustment feature, which help you to get done with your job. You can also apply fantastic pencil sketches and pencil drawing effects to an image. Since you are getting more than 20 different filters to choose from, also the good thing is that you will get all of them free. You can also add an emoji to your emoji as this pencil sketch converter comes with more than 350 emojis. Apart from these features, you will be able to choose an image from your image gallery and edit it. So make sure you are checking the app out. The PicsArt Photo Studio application is one of the best image editing applications that exist on the Internet. The thing about the app is that it does not only let you make a sketch of your image but you can also try out different filters. 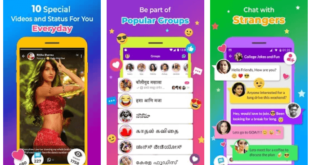 You can make an image collage, also you can add different stickers. The photo to pencil sketch app is available for Google Play Store, Apple app store. Also, you can download and use the application for free. So do not forget to have a look at this option as well. Up next we have the Photo Sketch Maker. The application is Android based and it is not available on the iOS platform. The Photo Sketch Maker app lets you create a sketch of your image. Talking about the features of the application, well this photo sketch art app comes with different sketch types. Like pencil sketch, Color sketch, Hard pencil sketch, Red pencil sketch, Green pencil sketch. Also, you can crop images and share your edited photos directly from the app. So do consider having a look at the theme as well. For our next suggestion, we have handpicked the Portrait Sketch. The application is freely available on Google play store and comes with some of the nice features. Talking about the features, with the help of the app you will be able to create nice and clear sketch photos of human faces with just one button click. However, it does not comes with a bunch of features, but as long as your goal is to convert images into a sketch. I do not think that this pencil sketch portrait website will disappoint you. So make sure you are having a look at the application. Up next we have the Artomaton – The Motion Painter. The Artomaton is an Artificial Intelligence powered sketch app which is available for iOS devices. You can download the app for free. Coming to the features, this photo to pencil sketch editor comes with 11 standard canvas materials. You can also adjust an image’s brightness, contrast, saturation, and color randomness and so on. Moreover, you will get 5 standard art tools. Also, the drawing or sketching process can be saved as a video. So don’t miss to have a look at this pencil art drawing expert. For our next suggestion we have another iOS app, however, it is not free. It is one of the top premium pencil sketch apps that has lots of nice features, which may meet your needs. With the help of this iPad pro sketch app, you will be able to easily convert your photos into artistic masterpieces. Or you can create some amazing painterly effects. You can also Convert any image to unique street art and Transform your photos into realistic looking sketches. Also, it has some other nice features that include, drawing, writing, or doodling directly on your image. Just have a look at the in-depth details of this pencil art maker application so that you would like to install it! At the end, we have the Photo Cartoon Camera app. The Photo Cartoon Camera is freely available on Google Play store and comes with some nice features. This pencil sketch online resource not just lets you create an image for yourself but also helps you to create a cartoonish image. It comes with some unique cartoon art filters, Glamour Pop Art Photo Filters & Cartoon Filters & Gorgeous selfie beauty Filters & Art Effects. Now, its time to check the details of this art source. 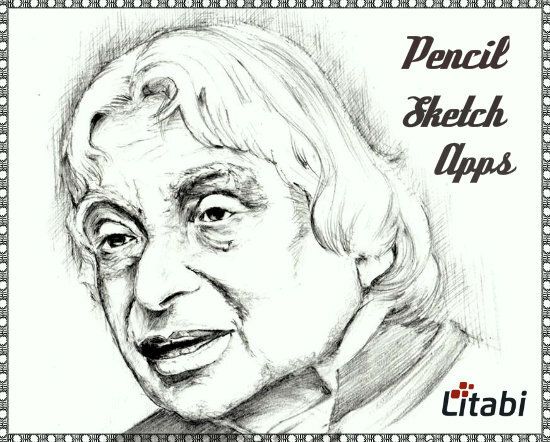 If you want to get a sketch of a pencil, you may try the above-mentioned best pencil sketch apps for Android and iOS smartphone. However, make sure to set the right filters and background effects so that your modified pencil sketch image will look authentic and natural. You may wanna have the pretty portrait image to use as a profile picture or just for fun! Whatever may be the reason, it is recommended to utilize the exact tool and get the specified pencil sketch picture. What do you think about these pencil sketch apps? Do you have any other better suggestion? If yes, leave your thoughts in the comment section. How To Check Mac For Viruses?